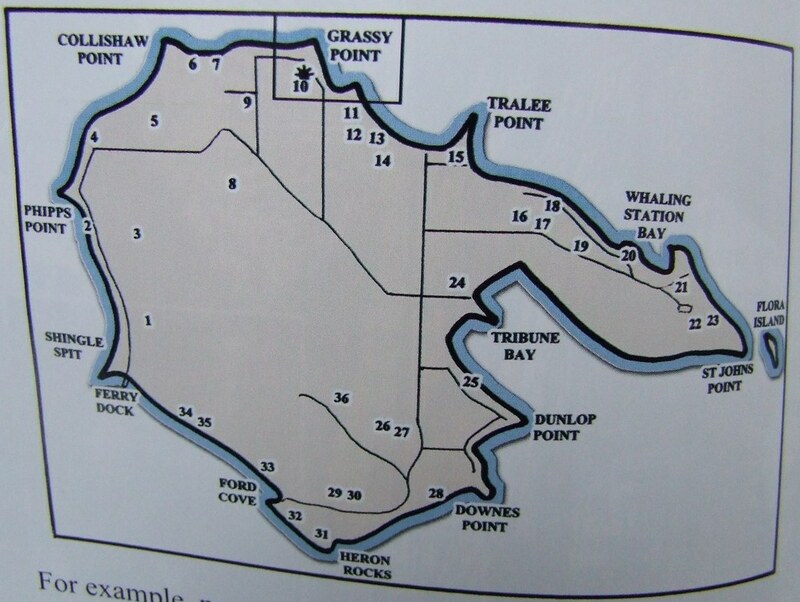 A place to post fotos & information to do with Nest Little Tribune Bay/Seawright. 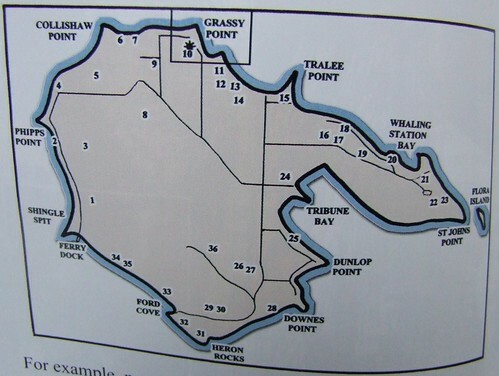 Nest Little Tribune Bay/Seawright is not on Doug*s map. 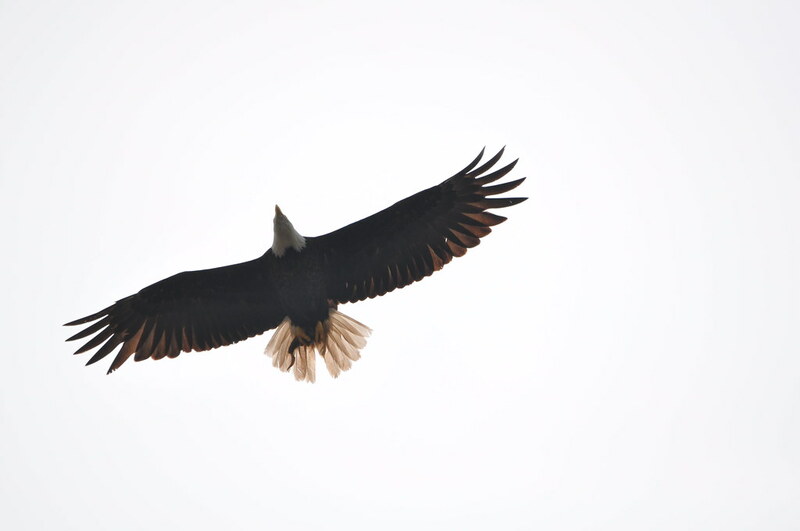 It is upwards from nest #25, along the shore of Little Tribune Bay. i don*t know how old this nest is, or how long it*s been in use. i only heard of this nest, for the first time, today. 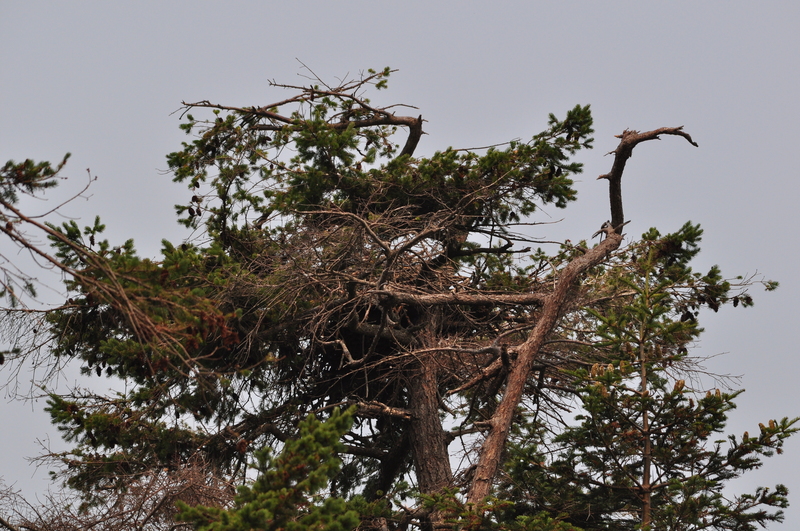 A neighbour & avid watcher of Nest #25 informed me that this nest existed, & that it produced an eaglet this year! & that both of these nests*s eaglets are sharing the beach! i*ll try to catch these two with my camera before they head off for the salmon runs. It is a long beach, & would mean a lot of searching. Mind you, the screeping apparently gives them away!! Today between my first job & my second one, i took Dooki down the beach access path where this Nest is supposed to be found. i am not sure i ever found the Nest, but i took some fotos of what i believe is the nest. i definitely saw an eaglet! i also saw an adult. The adult at one point flew way out into Tribune Bay, which is full of moored boats right now, & i saw them drop their landing gear & grab something from the water. Then they flew back in with it & landed in a tree. The eaglet was screeping away. Then the adult took off & landed again. Were they trying to entice the eaglet to come after them? The eaglet was screeping away, but stayed put in their tree. Fotos & video coming soon. More detective work, booni. The screeping eaglets are helping you locate nests at this time of year. Sounds like a learning exercise for the eaglet's benefit. Wow! You're going to be able to write your own book, booni with all of your observations and findings. Watch out Doug!! Thanks for the update. "The eagles are back ! Heard one yesterday, in the trees near my farm across from Little Tribune Bay." This is what i thought, with my bare eye, was the Little Tribune Bay Nest back in 2010. There was an adult, or two, having much success flying way out into the Bay & bringing back Fish. The youngster remained in their perch Tree beside the Nest. august 5 2010 10:24 - Little Tribune Bay Nest? Here is a video showing the Eaglet & their proximity to what i thought might be the Nest Tree. & here is one of the adults, with a gap in their tail feathers, & a Fish in their feet. This looks like the nest the eagles were using when i first spotted them, Booni. Except even more skimpy, because they had had less years to build it! Compare with the third photo in this posting from 2014... Taken from the beach, as yours was, I think? This year's new nest, if you stand in the same area, would be to your left, just a few trees over, and on the lip of the little bluff. Oh, yes, looks the same indeed!